Change is a touchy subject when it comes to comic book movies. Many dedicated comic book fans are divided over just how much they are willing to forgive when it comes to altering their beloved characters or stories. While some of the following changes are for the better and they’re a necessity for adapting comic books to the medium of film, others are simply unforgivable. One of Iron Man’s long-standing foes, the Mandarin is a megalomaniac given power by ten supernatural rings. He is also a genius scientist, and one of the few matches for Tony Stark’s intellect. 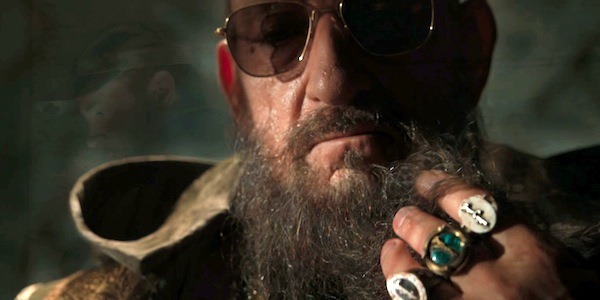 However, in the latest Iron Man movie, the man purporting to be The Mandarin turns out to be a hired actor. The real Mandarin is Tony’s old rival Aldrich Killian (played by Guy Pearce). Although this twist divided fans, it was an audacious decision made by Marvel Movies. It was one of the few circumstances when even fans of the comic books were kept in the dark alongside the rest of the audience. Jim Carrey’s 1994 comedy is a fun, madcap fantasy movie. Shy, hapless bank teller Stanley Ipkiss comes into the possession of a strange wooden mask which turns him into a bizarre green-faced alter ego with supernatural powers. However, the film is a far cry from its source material. Although the original comic book series shares the same basic plot, it’s an ultraviolent, dark and seedy take on what happens when a downtrodden, passive man is suddenly given superhero powers. 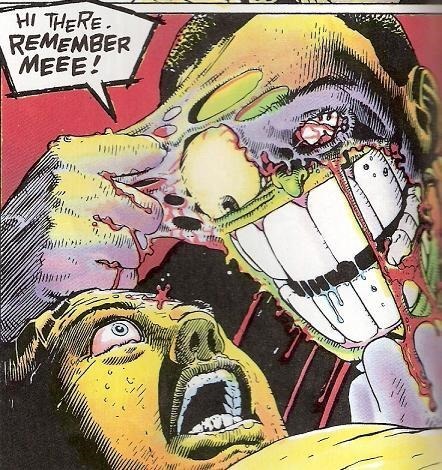 The comic version of The Mask (or ’Big-Head’ as he is called) is much more dangerous, and most of the artwork is filled with blood splatter. Bane is one of Batman’s most lethal foes. In the comics, he possesses massive physical power and genius levels of intelligence. In later takes on his character, he starts using a drug called ‘Venom’ to enhance his strength. 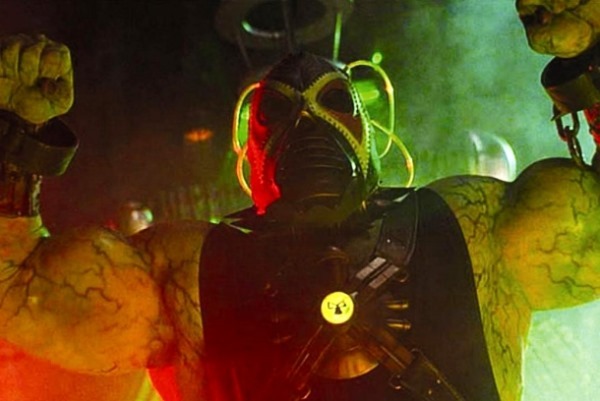 Joel Schumacher used Bane in his 1997 flop Batman & Robin and, like the rest of the movie, he completely botched the character. Reduced to a mute sidekick of Poison Ivy, Bane was a big thug without any of the intellect. Interestingly, Christopher Nolan’s recent, more grounded version of the character focused on Bane’s strengths as an intelligent foe and as a physical adversary, but he didn’t need the Venom drug to get the edge on Batman. Slyvester Stallone’s 1995 movie did almost everything wrong when it came to adapting the character Judge Dredd. The weirdness of British cult comic series 2000AD was never going to be an easy sell for Hollywood audiences, and the problem is that Dredd just isn’t a particular likeable character. 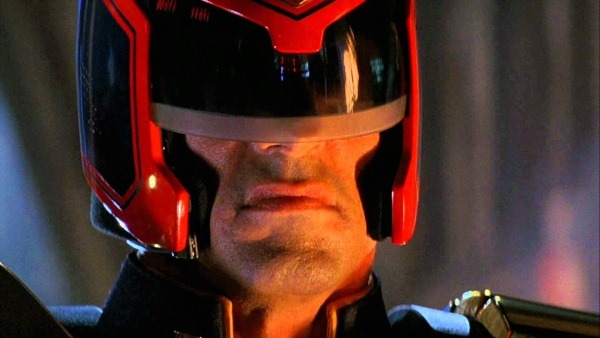 Dredd was originally developed as a satire of police states and the excesses of American culture, but the movie version completely missed the point with its jumbled storyline, comedic sidekick and love interest. Even worse, Stallone’s Dredd committed the gravest sin of all – he spent most of the movie with his helmet off. Even casual comic book fans are familiar with the origin of Superman, so it made sense that the most recent movie might want to put a fresh spin on the beginnings of one of the biggest superheroes of all time. Man of Steel has a prologue exploring the planet of Krypton before it is destroyed (which other movies have never really paid much attention to) and it also takes its time letting Clark Kent explore what he should do with his powers. 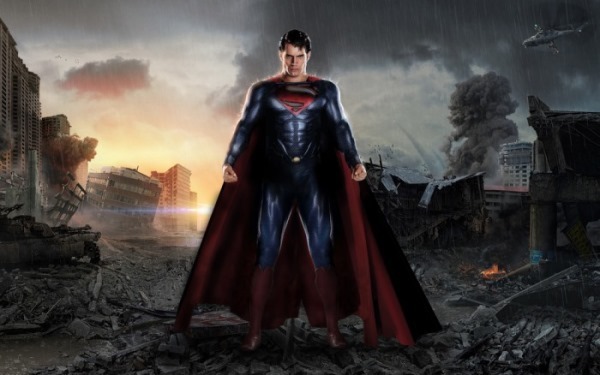 Man of Steel may jumble the origin about a little, but it mostly leaves the core beliefs of the character intact. That is, however, until the final act of the movie. When super villain General Zod begins attacking Metropolis in a bid to draw Superman out, the film brings spectacular scenes of destruction and mayhem to life as the city is razed by Zod’s powerful ‘world engine’. Of course, Superman ultimately defeats Zod, but he doesn’t really save the day. Superman’s core ideals have always been that he saves people, so seeing him ignore all the devastation going on around him during the final big fight is a huge misunderstanding of his character. It’s made even worse by the fact that Superman is a contributor to this destruction, and he makes no effort to take the fight away from civilian casualties or the city of Metropolis. While it does make for some awesome scenes of two super-powered beings battling it out, it’s a tone-deaf approach to what makes Superman so super. Dr Doom is a classic comic book nemesis. Assuming complete control over the fictional country of Latveria, Dr Doom is the primary antagonist of the Fantastic Four and he is one of the few characters in the Marvel Universe who is as clever as Reed Richards (Mr Fantastic). He’s also a ‘self-made’ villain as he doesn’t possess any superpowers apart from his genius intellect and his scientific prowess. In the Fantastic Four movie, however, Doom is hit by the same cosmic rays which give The Fantastic Four their powers. He essentially becomes a generic ‘mad scientist’ type threat instead of an adversary who manages to match the awesome power of superheroes without being gifted with superpowers himself. The Hellblazer series featuring the character of John Constantine was the perfect source material for a dark comic book movie which was more inspired by horror than super heroics. 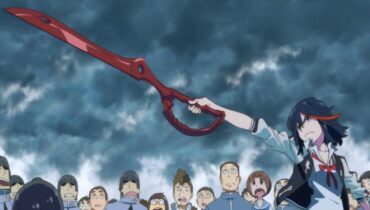 The character is a chain-smoking and cocky magician who fights demons, ghosts and other supernatural beings. 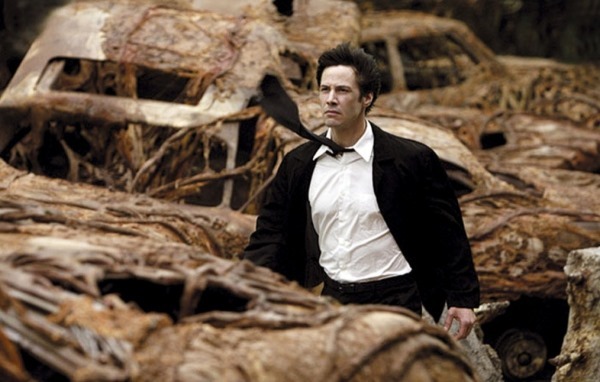 It’s somewhat understandable that the movie adaptation would move the comic’s British setting to America in an effort to appeal to a wider audience, but the casting of Keanu Reeves was a truly head-scratching decision. Reeves’ limited acting style has drawn him criticisms throughout his career, but he has proven that he can pull off a wide range of very different roles. However, his morose, wooden acting was all wrong for playing the charismatic yet bolshie Constantine, and the filmmakers turned the character into more of a James Bond, gadget-obsessed occult soldier than a street-smart trickster. The movie was also guilty of taking itself far too seriously, and it never really made the most of the unique source material. Race has always been a contentious issue in comic book adaptations. Some fans feel like their favourite characters should be completely true to their comic book sources, and the idea of casting an ethnically different actor is often met with backlash or criticisms. However this attitude completely ignores the issue of whether the race of a character is integral to who they are. 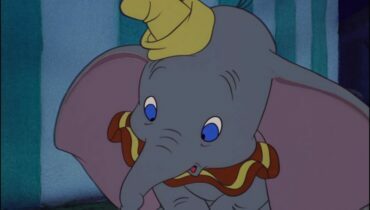 A character’s race can be a huge part of their identity, but that isn’t always the case. 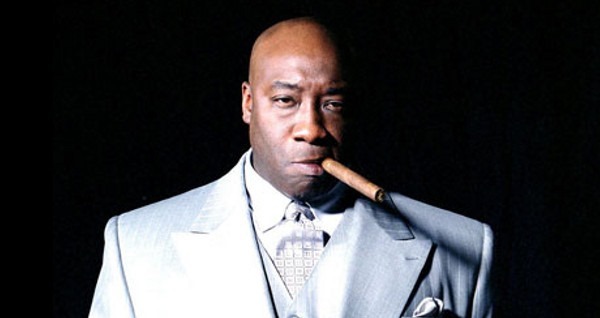 The casting of Michael Clarke Duncan as Kingpin in Daredevil is an excellent example of this. Kingpin (AKA Wilson Fisk) is one of the most powerful crime lords in Marvel comics, and he possesses cunning and intelligence as well as a huge muscular physique. Regardless of the fact that Kingpin is Caucasian in the comics, Duncan was one of the best choices for this character, and he is one of the few actors who could do justice to the imposing, intimidating character. Juggernaut is one of the X-Men’s most iconic villains. Possessing superhuman strength and the ability to build up his momentum to nearly unstoppable levels, the Juggernaut is a massive threat. Thus, fans were understandably confused when Vinnie Jones was cast to play the character in X-Men: The Last Stand. 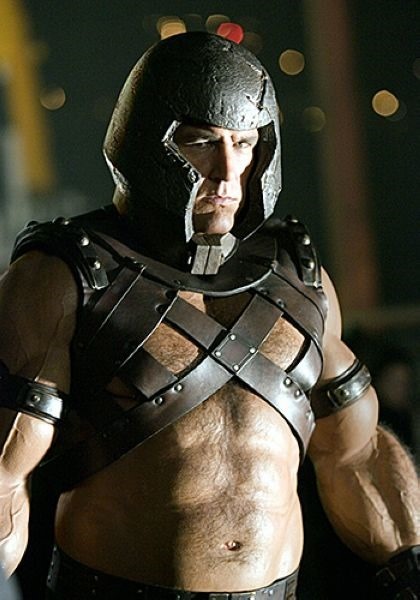 Not only was Jones physically a far cry from the comic version of Juggernaut (although he did wear unbelievable muscle prosthetics to try and bulk up his physique), the movie made him another generic villain. In the comics he is Professor Xavier’s step-brother, and the two have a complex, complicated feuding history. In the movie, he was just another one of Magneto’s henchmen. Comic book fans enjoy nothing more than ‘fan casting’ their ideal actors for roles in movie adaptations. Ryan Reynolds was always a favourite to play Deadpool if they were to ever make a movie about the ‘merc with a mouth’ and it’s easy to see why. Reynolds had proven his action chops in Blade: Trinity and he had made his career playing quick-witted characters that always had too much to say. He seemed like the ideal actor to play the mutant assassin who has a penchant for spouting off one-liners and breaking the fourth wall. However, although Reynolds was cast in the role, the filmmakers of Wolverine’s spin-off origin movie completely destroyed the character. The movie version of Deadpool was a mute, mindless villain who was nothing like the comic books.